This man has killed before. He’s felled many Americans. He is a warrior. And now, this man is singing a wobbly song about our upcoming day at the Cu Chi tunnels. It’s his own tune and lyrics. It’s a surreal moment. I was just northwest of Ho Chi Minh touring a battlefield that, during the Vietnam War, was riddled with over 200 km of tunnels and underground bunkers. Previously, the Viet Ming used the tunnels to fight the French for independence. 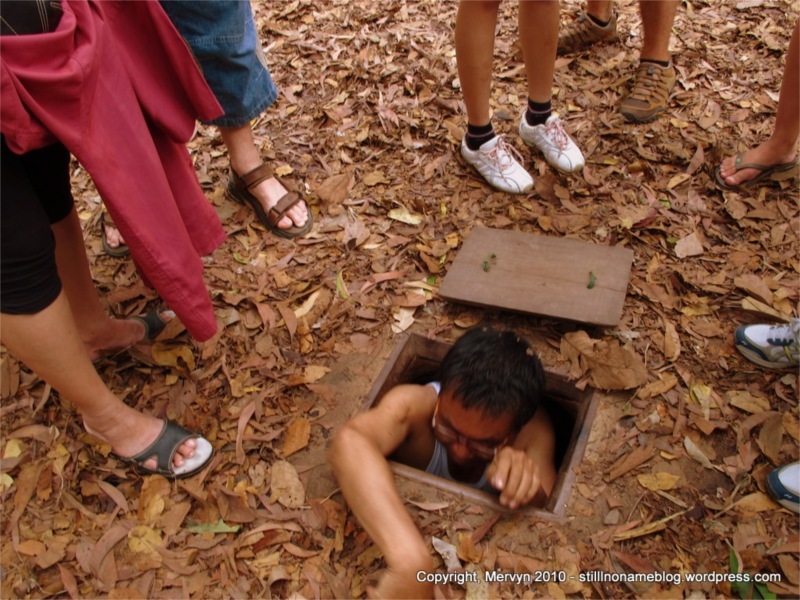 When the Americans came to Vietnam, the Viet Cong took a page from their predecessors and expanded the tunnel system. From this area, just 70 km from HCMC, they harassed the American forces trying defend what was then called Saigon. 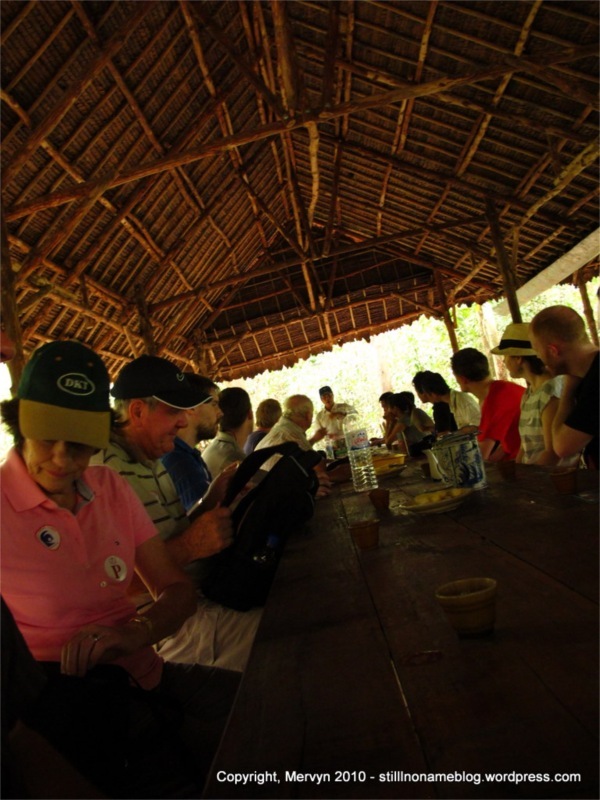 Our 63-year-old guide grew up in the Cu Chi area. He moved to Saigon with his father to study. At the age of 20, he joined the North Vietnamese to fight the American invaders. He helped build these tunnels. He fought in them through bombardments, Agent Orange drops, U.S. cavalry assaults, and napalm strikes. Throughout his presentation, he described the difference between the sounds of helicopter machine guns (“Pap pap pap pap”) and the six-barreled gunship guns (“Wooooooooo”). He seemed awfully good natured, considering what he experienced. He said he lived underground in the dark for years, crawling from place to place, only coming out at night to get supplies and mount military assaults. He described how Ho Chi Minh instructed the troops not to shoot until the Americans were very close. That way, the American helicopters, artillery, and air support wouldn’t be able to fire for fear of harming their friends. That and the Viet Cong had to conserve the bullets donated by their communist allies—it wouldn’t do to waste these gifts. He talked about techniques to get tanks to turn so that the outgunned Viet Cong could fire on the weak spots on the tank’s treads. After the film, we were led through exhibits that showed us booby traps created to ensnare Americans. Most were surprisingly sophisticated despite being made out of only nails and wood. Swinging gates, traps concealing more traps, all camouflaged to blend with the terrain. That really was the theme of the tour: the freedom fighters did their best with what they had. They collected unexploded U.S. ordinance and harvested the explosives inside to create their own makeshift mines and traps. 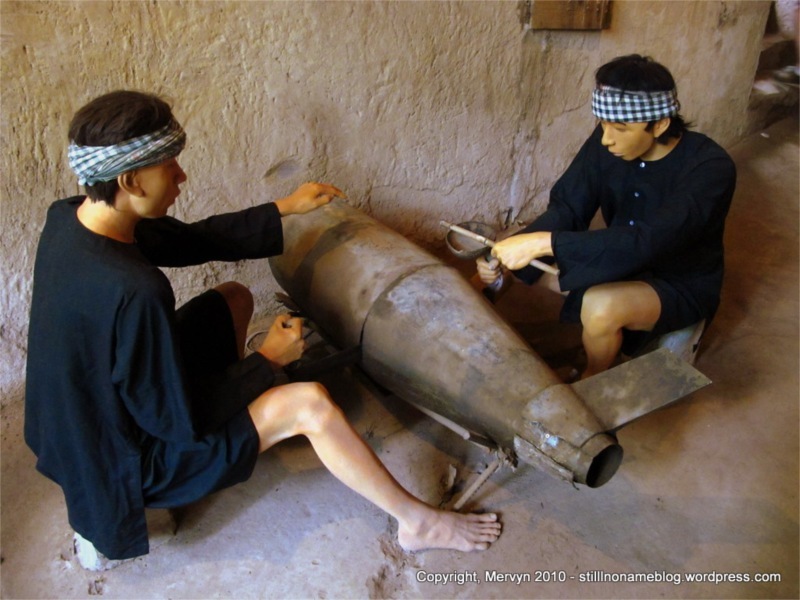 To illustrate this, two mannequins were posed as if they were sawing a bomb in half. Our guide helpfully added that he didn’t saw all the way through and that his mates constantly poured water on the sides to prevent it from exploding. I couldn’t help but think that they must have gone through a trial and error phase—what’re the odds that they never made an error? The tunnels themselves were a trip. 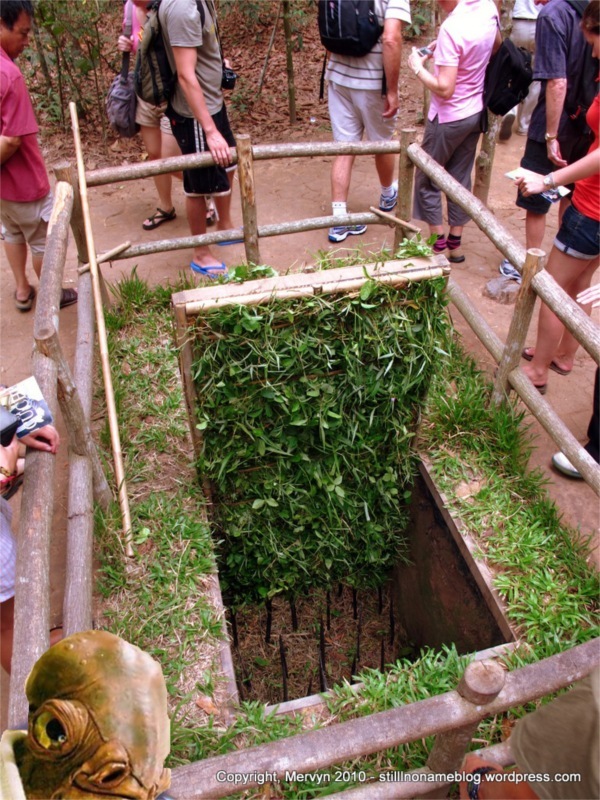 They’d kept one original entrance to show us how the Viet Cong made them just big enough for one man to squeeze through. They would paste dirt and leaves to the top of the covers for camouflage. I’m not a big guy, but it wasn’t a simple thing to get in and out. I can imagine it would have been hard for the typically larger American. The Viet Cong would pop out of these holes, fire, then pop back in. The tunnels underneath were just crawlspaces dug by hand. They would make air holes to the surface to circulate fresh air. They dug three layers of tunnels. Near the surface they’d sometimes put kitchens where they could make fires to cook food. There would be a series of holding rooms attached where they’d trap the smoke. When no one was around, they’d slowly release the smoke to the surface. Some tunnels led to dug out wells that reached below the water table. The earth acted as a giant water filter for Agent Orange and the napalm. Some tunnels led to the river and swim through where the Viet Cong could get outside only at low tide. They would fish under cover of dark or mount assaults from these secret entrances. 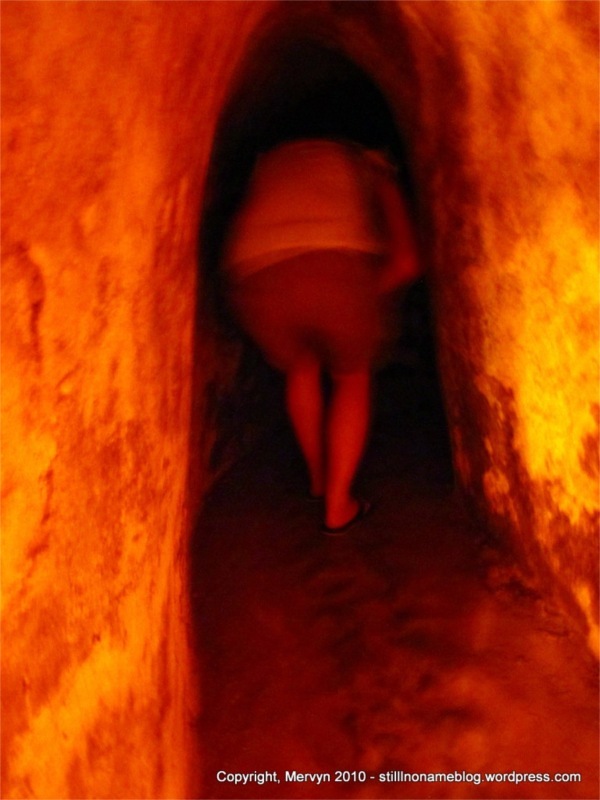 They allowed us to go into the tunnels and we got a sense of what life was like. My first impression: it was hot. Very hot. The curators had been kind enough to put concrete in the tunnels, probably to ensure that they didn’t collapse and kill tourists. Back in the day, there were no lights and everything was dirt. 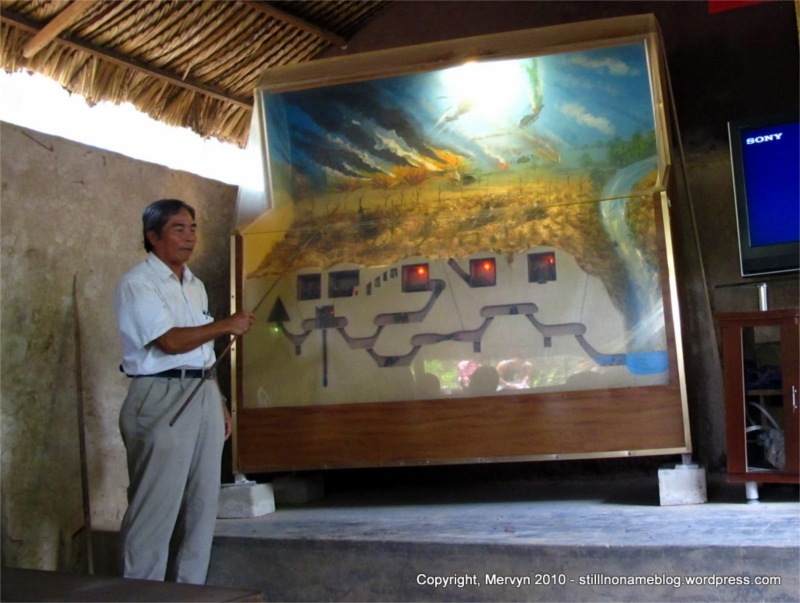 The Viet Cong had to feel their way around and memorize which tunnels led where. I can’t imagine being a U.S. soldier trying to crawl your way through these things looking for the enemy. The girl in front of me was five feet tall or so and when she bent at the waist, she couldn’t straighten her legs. I was doing the Asian squat, shuffling along, trying not to sweat on my camera. We went maybe 40 yards and we were all drenched in perspiration. I can imagine the Viet Cong being covered in mud, crawling from place to place, bombs shaking the ground overhead, fleeing the grenade that’s been thrown in after them. Our guide confirms the experience. He says he lost his hearing in the war because of all the bombs and close gunfire. Only after the war did his hearing return. Even now, he says, it continues to improve. At the end of our tour, our guide serenades us with two more songs. Some of the younger tourists from Britain start to tease him sarcastically about, “Just one more song, please.” Me, I have no problem with the songs. They’re fanciful and he enjoys presenting them. He’s got a pretty good attitude considering he’s one of only seven of his company to survive the war. Besides, the guy gets a lot of leash from me. He’s put his money where his mouth is in a way I probably never will have to. He fought and was willing to die for his freedom. Sing on my man. Do your thing. I think I can sense a difference between Cambodia and Vietnam. 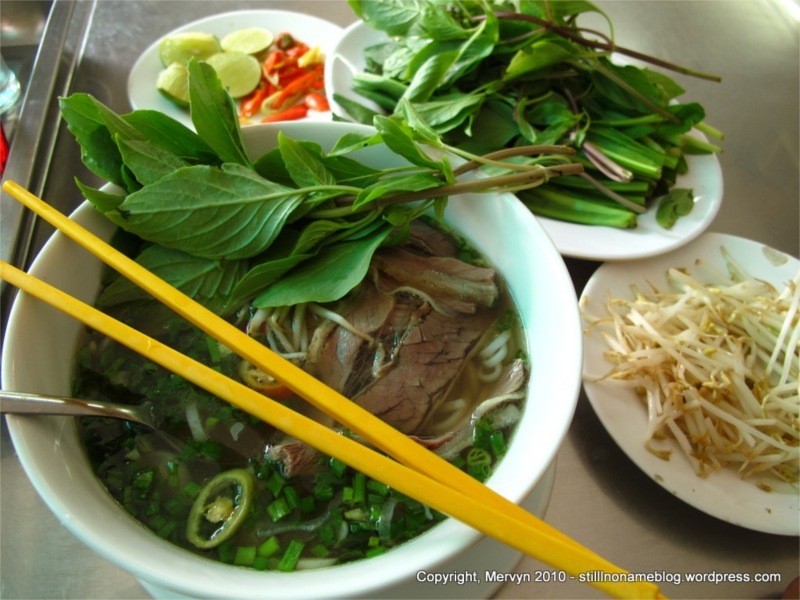 This culture seems to have an energy and defiance that’s not present in Cambodia. There, it seemed there was a tone of melancholy even as we raised glasses and cheered (“Cheung moi!”). Sad songs were just around the corner. That’s understandable. The Cambodian culture is one of tragedy, much of it inflicted by Cambodians on Cambodians. The Khmer Rouge killed Khmer people. Millions of them. 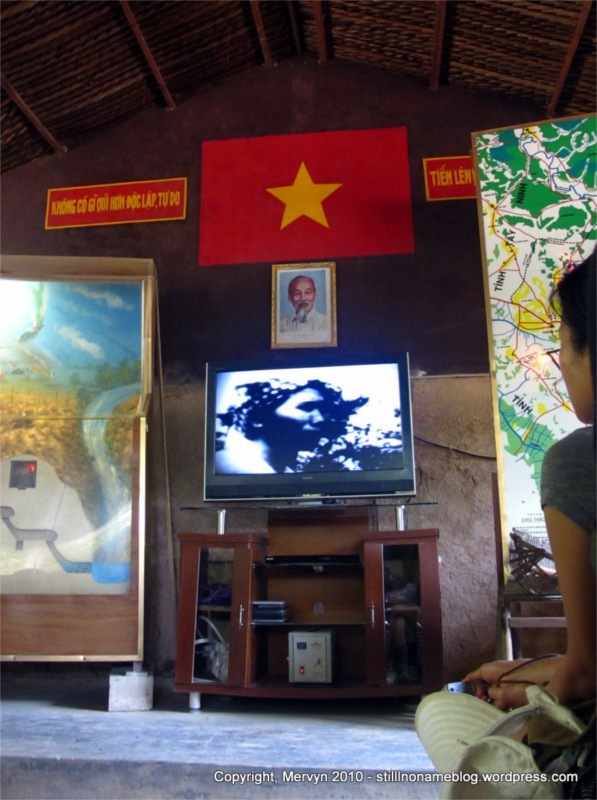 As conflicted as America’s involvement was in Vietnam, the Viet Cong were without ambivalence. Their predecessors, the Viet Ming, drove out the French and gained independence. Immediately, the Americans got involved and the Viet Cong rose up to fight for independence again. For them, nothing less than their freedom was at stake. They were going to win this war or die trying. In the face of that determination, it’s a wonder that the U.S. thought it could ever win. Why is Admiral Ackbar in the third from the top photo? He almost looks Photoshopped in but I’m guessing you didn’t spend your day adding the good Admiral to a Vietman photo.